Welcome to the Beresford School District! We are pleased to serve nearly 700 students in the Beresford community and surrounding area. 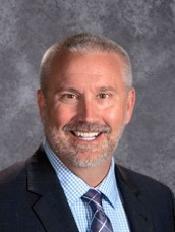 Beresford has a strong tradition of being a progressive school district and community where a commitment to quality definitely exists. The Beresford School District has a rich history of high academic achievement, strong co-curricular programs, and community support for education. We take our mission statement, “Together, We Aspire, Act, and Achieve” and our vision statement, “Creating Servant Leaders through Quality Academic and Activity Programs” very seriously as we strive toward our District goals in the four pillars of Academics / Achievement, Fine Arts, Athletics, and Servant Leadership / Distinguished Service. The Beresford School District is committed to 21st century teaching and learning practices. Excellence in education requires that technology be seamlessly integrated throughout the educational program. Increasing access to technology is essential for the future and our district continues to provide the most up-to-date 21st century tools for our students and teachers. These tools, along with 21st century teaching and learning, empower students to maximize their full learning potential by promoting communication, critical thinking, problem-solving, and research skills, as well as preparing them for post-high education and the global workplace. The Beresford School District strives to provide a positive environment in which all children can and will succeed. Our children are the reason for our school’s existence and worthy of our best efforts. We will continue to provide a positive school climate that focuses on building and sustaining relationships with our students, parents, and community. The North Central Association Commission on School Accreditation and School Improvement recognizes the Beresford School District for the quality of educational experiences we provide our students and has fully accredited our school since 1932. We offer programs to meet the diverse needs of our students, including our regular education, special needs, and our gifted and talented students. Our students have opportunities to enroll in dual credit courses where they can earn high school and college credit. Beresford School District students continue to perform above the state and national averages on state and national achievement tests. Our District offers a wide range of academic and co-curricular programs to help our students succeed and enjoy school. All students are encouraged to get involved in co-curricular activities, as they have a positive influence on our academic programs. Our elementary school offers opportunities in the fine arts and coordinates through the Beresford Community Education for sports and recreation, the arts, and other activities. Our middle school and high school offers co-curricular opportunities in the fine arts—band, vocal, drama, and visual arts; journalism—school paper and annual; FFA; FCCLA; quiz bowl; robotics; student government; cheerleading; athletics—cross-country, football, golf, volleyball, wrestling, basketball, and track and field; and other student organizations. The quality of our programs is directly related to dedicated people who give a maximum effort for the children of our district. We promote professional growth and life-long learning for our staff. All of our staff members understand that our students, parents, and community are the most important people we serve. We believe we must continue to make connections and build relationships with our students, parents, and community. Please feel free to stop by for a visit, call us, and/or signup for our District’s new mobile app. We truly believe we have something to offer every student, family, and community member!